By Jay Rogers. Posted March 29, 2017. His plan is simple. Set up late-term abortion clinics in areas of the state that are easily accessible to women in Georgia and Alabama where late-term abortion is practically illegal. 1995 – Pendergraft files a lawsuit against the city of Orlando after it blocks the opening of his Orlando Women’s Center abortion clinic on Lucerne Terrace on zoning grounds. 1996 – An Orlando hearing officer recommends that Pendergraft ought to be allowed to open his clinic. Then a district judge rules that Pendergraft can perform both first and second trimester abortions. The city of Orlando eventually settles for $325,000. Abortionists Joe Sanchez, Jr., Paul Shipley and Randall Whitney work with Pendergraft in Orlando. 1998 – Pendergraft opens an abortion clinic in Ocala and accuses city officials of discriminating against him by prohibiting police officers from moonlighting as security guards at his clinic. He recruits Roy Lucas, the legal mind who devised the argument that won Roe v. Wade, to write a lawsuit against the city of Ocala. The lawsuit reads in places like a silly, paranoid, hysterical screed. Roy Lucas says that providing police protection for abortion clinics in Florida has been more difficult than in other locations. 1999 – As the case proceeds, the FBI begins an investigation of Pendergraft. Wiretaps find that Lucas and Pendergraft falsified information in affadavits in a conspiracy to bankrupt the city of Ocala. In late 1999, Roy Lucas lets all three lawsuits drop and promptly disappears. Pendergraft vows to fight on. During this time, Pendergraft continues to do illegal third trimester abortions. In the procedure, the patient is injected with a long spinal needle through the abdominal wall with digoxin, a medication that is supposed to stop the baby’s heart. The mother has her cervix dilated with laminaria or Cytotec and returns to the clinic the next day for a forced birth while sitting on a toilet. The toilet is not used to dispose of the fetal remains, but to collect them in one place. The water would obviously serve to drown a baby born alive. At the Women’s Centers we are prepared to aid patients and their families in getting through the entire process with our compassionate and caring staff, supporting them from the beginning to the end of the termination procedure. Each patient goes through the procedure process differently. We encourage all patients to at least see the baby minimally as we believe that this is the best way to bring closure for families. We are also prepared to help families have a memory of their child such as having a handprint or a footprint. Some patients want the baby to be cremated and others want a burial to take place. On November 6th, at 21 weeks of pregnancy, a mother chooses to have her child aborted by Pendergraft. The reason given for the abortion is that the mother is 13-years-old. Sidewalk evangelist Patte Smith describes the scene. The father didn’t want the abortion. He named her Little Mary and talked the clinic staff into letting him take the attached photograph of her inside the clinic. He asked that I use it to honor his daughter’s short life by telling her story. 2000 – Former Mickey Mouse Club extra and Britney Spears back-up singer Kelly Clinger has two abortions in November 1999 and February 2000. On duty are James Pendergraft and William Phillip Egherman, a Cincinnati abortionist who has been the subject of a string of complaints and lawsuits due to abortion related injuries. Kelly is injured during the second abortion and experiences cramps and bleeding. After tests in her doctor’s office, it is discovered that she has had a incomplete abortion and a perforated uterus. After professing Christian conversion a few years later, she writes about her experience in several blog entries beginning in 2011 and becomes a spokesperson for Silent No More Awareness. Pendergraft is indicted for extortion. In June, James Pendergraft and his real estate investment associate, Michael Spielvogel, are indicted in federal court. The five-count indictment alleges that the two men conspired to extort millions of dollars from the Marion County government by making false and fraudulent statements. The extortion charges stem from evidence gathered by the FBI that they offered false testimony in the 1998 lawsuit case in a failed attempt to win a big judgment. In October, a forensic psychologist characterizes Spielvogel as “self-aggrandizing,” “manipulative,” “obnoxious,” “ingratiating,” “narcissistic,” “paranoid” and “almost like the permanent puppy, seeking to get approval.” The psychiatric testimony is ruled as irrelevant to the trial by a federal judge. 2001 – In January, a grand jury watches secretly recorded video by the FBI showing Pendergraft and his attorney, Roy Lucas, talk about wrecking the finances of the Marion County government with a lawsuit. Added Pendergraft: “Not try. We will bankrupt the county. And I promise you I’ll put a statue of myself in the town square that states that Dr. Pendergraft brought freedom to Ocala” (Businessweek). Odd events occur during the trial. First the trial is postponed by the death of Pendergraft’s grandmother. A juror falls outside the courthouse and is hospitalized with head injuries. Two electrical blackouts occur during playback of the surveillance video and two more occur the next day. One attorney on Pendergraft’s defense team, Jacob Rose, falls in the dark during one of the blackouts and reinjures a knee. He reappears the next week walking on crutches. Pendergraft is convicted of extortion. Both Pendergraft and Spielvogel are found guilty and sentenced to 46 and 41 months respectively. Pendergraft begins serving his sentence in July at a federal prison camp in Atlanta, but vows that all five of his abortion clinics will remain open while he is in prison. On November 11th, Carol Howard goes to Orlando Women’s Center, to abort her 22 week old baby girl. The abortionist on duty is Randall Whitney. As a result of mistreatment and gross malpractice, the abortion is botched and a baby girl is born alive in a local hospital. The child survives with massive birth defects. 2002 – In February, Pendergraft is released from federal prison after serving seven months of his 46 month sentence. In July, all but one of Pendergraft’s extortion charges are overturned by an appeals court. The charges against Michael Spielvogel, Pendergraft’s real estate business associate are also dismissed. On August 5th, the federal Born Alive Infants Protection Act is enacted. It extends legal protection to an infant born alive after a failed attempt at an induced abortion. The complaint summary alleges that the facility is performing third trimester abortions. A medication called Cytotec is continually given to women until the baby is aborted. Cytotec’s only FDA-approved use is treating ulcers. The process takes 6 to 36 hours. The complaint witness also states that in speaking with a nurse who once practiced at this facility that babies are at times born alive and no actions are taken by staff. Many times the physician is not in the building and the abortion is completed by a certified medical assistant. On November 3rd, Roy Lucas, Pendergraft’s lawsuit attorney and infamous Roe v. Wade lawyer, dies at age 61 of a heart attack while vacationing in Europe. On June 10th, Pendergraft pleads guilty to a final count of accessory in an agreement that allows him not to serve any more time in prison. According to an AHCA report, Pendergraft determines a pregnant woman to be at 22 weeks’ gestation. She is given medication to take at home to initiate uterine contractions and begin the abortion process. But the woman progresses more quickly than expected and aborts the fetus at home before she can return to the clinic. A hospital later evaluates the fetus and estimates its gestational age to be 25 to 27 weeks – putting it in the third trimester. 2005 – On April 2nd, 911 Emergency receives a frantic call from a woman claiming her friend has given birth to a live baby at Pendergraft’s EPOC clinic in Orlando. Harry Perper is the abortionist on duty. When the mother alerts medical staff that her baby was born alive, the staff tells her to leave the baby in the toilet. The young mother holds the child and the amniotic sac in her hands as she calls a friend at a nearby hotel who had traveled with her to Orlando from out of state. An ambulance is dispatched, but arrives too late to save the baby. An autopsy report and photos show a perfectly formed baby boy who died from premature birth confirming part of the mother’s story. Liberty Counsel begins a lawsuit case on behalf of the mother and Baby Rowan, but later abandons the effort. Meanwhile, the story receives wide coverage by pro-life media. In July, a third trimester abortion is performed at Orlando Women’s Center on a woman who is 28 weeks pregnant according to an AHCA report. 2006 – In April, the state board of medicine drops its disciplinary case considering the revocation of Pendergraft’s medical license and affirms a decision by a judge that the extortion case should be dropped. On July 24, 2006, Carol Howard’s motion for summary judgment is granted. The case will eventually be decided for the plaintiff with a judgment of 36.7 million in July 2011. On July 26, 2006, James Pendergraft changes most of his Florida corporations associated with his five abortion clinics to limited liability companies (LLC) and then converts each of the LLCs to the state of Nevada on the same day. Pendergraft receives his first suspension. In August, James Pendergraft’s license is suspended for the first time on evidence that he did illegal third trimester procedures in 2004 and 2005. The suspension order temporarily closes all five of Pendergraft’s abortion clinics. The clinics in Tampa, Ocala and Fort Lauderdale are allowed to open in late August. The two Orlando clinics are reopened later in the year. 2007 – In February, Orlando sidewalk counselor and evangelist Patte Smith is interviewed for a series of videos about Baby Rowan, which include the taped 911 calls that were placed to the Orlando fire department and emergency. 2008 – A film on Baby Rowan called 22 Weeks is released in the fall. 2009 – This 30-minute dramatization is shown in churches including a showing in Orlando in early 2009. Filmmaker Ángel Soto, lawyer John Stemberger (Florida Family Policy Council) and sidewalk counselor Patte Smith (Sanctuary Ministries) form a panel to take questions from the audience after the showing. Criminal sanctions are available for violation of this subsection as any person who violates this provision is guilty of a second degree misdemeanor…. A violation of [other] sections is punishable as a third degree felony… Although the statutes Dr. Pendergraft is charged with violating may provide penal sanctions, there is no explicit statutory requirement that a licensee be adjudicated guilty of the acts specified in the penal statutes before disciplinary action may be instituted. On December 19th, abortionist Paul Leslie Sibley dies of complications of a stroke at age 53. 2010 – On March 27th, abortionist Randall Whitney is arrested at Orlando Women’s Center for aggravated battery after slapping a patient while she was on the operating table. On April 3rd, abortionist William Phillip Egherman dies at age 56. The cause of death was not published in his obituary. Egherman is known for leaving a string of botched abortions while he worked as a “circuit rider” abortionist throughout Florida. Prescribed steroids for the woman without medical justification. 2011 – Filling in the gaps early in the year at Orlando Women’s Center in the absence of James Pendergraft is Walker Whaley who spent time in prison and had his medical license suspended for manufacturing synthetic cocaine in his home. In January and February, abortionist Vera Stefanac’s neighborhood and office is the setting for several pro-life awareness campaigns. A few weeks later, Stefanac officially retires from doing abortions, according to an abortion clinic worker. In March, Zvi Harry Perper, the abortionist on duty at EPOC when Baby Rowan was born alive and left to die, is charged with multiple counts of racketeering, drug trafficking and conspiracy. The charges carry a possible penalty of 490 years in prison. Abortionist Zvi Harry Perper is arrested at a Florida “pill mill.” He worked here as a dealer of pain pills for a controversial clinic in Miami that was founded by a convicted drug smuggler. Beginning in March, abortionist Scott Spagnolo-Hye’s neighborhood is the setting for several pro-life awareness campaigns. Other awareness campaigns are held in the neighborhoods of Randall Whitney and Sangeeta Pati, James Pendergraft’s long-time girlfriend and abortion rights promoter. Pendergraft sometimes stays at Pati’s residence and drives a vehicle registered in her name. On July 22nd, a Florida jury awards $36,766,000 in damages to Carol Howard, to provide funding for lifetime care of “JH,” who was severely harmed as a result of being born alive after a botched abortion that occurred at Orlando Women’s Center in 2001. During the trial, Pendergraft testifies to instances of infants born alive in abortuaries. “… you can allow a patient to just deliver vaginally by just using Cytotec alone… Anyone over 23 weeks we use digoxin…. Either the medical assistant does it or a physician does it. In a lot of situations, the patient delivers into the toilet by herself. So even though a physician or medical assistant may be present, it actually delivers into the toilet without any help…. Pendergraft in fact has upwards of 8 LLC’s he funnels money thru. The umbrella company for his 5 clinics, Wilson Management, he put 64% controlling interest in his girlfriend’s name and the other 36% is in his. He & his girlfriend refused to divulge the umbrella company’s finances as authorized by discovery rules, chosing to instead be charged with contempt. All of the jurors’ greatest hope is the plaintiff can recover the money awarded. Unfortunately, we all realize it most likely will be a long hard road fraught with appeals. But that is out of our hands. My disgust with the whole scheme got to me emotionally and I was pushing for $50m, $100m whatever I thought could crush him (in my outrage obviously I wanted this guy bankrupt & his clinics closed). On September 8th, Denise Williams, the mother of the middle two of Pendergraft’s four children, files corporation papers for Latetermabortion.net LLC. 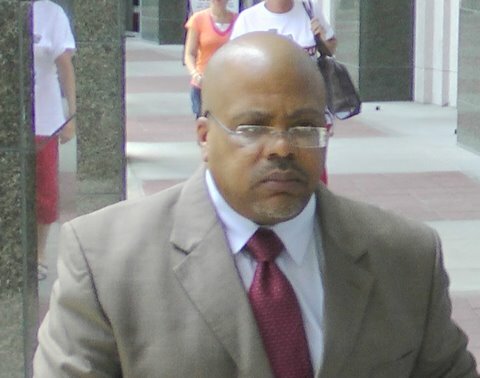 Williams is also an officer in two of Pendergraft’s corporations and holds about two-thirds of his assets. A website www.latetermabortion.net is launched, which describes Pendergraft’s plan to do late term abortions in the Washington, D.C. area. The procedure is to do an intra-cardiac injection with digoxin, a medication that stops the baby’s heart. The mother has her cervix dilated with laminaria or Cytotec in order to force a premature birth. The injection takes place in a doctor’s office, but there is no medical clinic involved in the abortion by forced delivery. When the mother begins to deliver her baby, she is instructed to call 911 or go to an emergency room. Several pro-life media groups cover this new twist on late term abortion services in the form of an exposé, but describe what Pendergraft explicitly states on his website. On September 28th, abortionist Joe Sanchez, Jr. dies of a stroke at age 77. 2012 – On February 17th, Bayview Loan Servicing, Inc. files a commercial foreclosure lawsuit against Pendergraft’s EPOC clinic at 609 Virginia Drive, Orlando, Florida. The suit is settled and dismissed later in the year. The licensing board or department has disciplined the licensed practitioner and placed his/her license in a probationary status. The licensed practitioner may practice his/her profession in the state of Florida under terms specified by Final Order. Practitioner is obligated to update his/her profile data. On May 31st, abortionist Walker Whaley dies of a heart attack at age 64.
illegal prescriptions of large amounts of Viagra and other drugs to himself and non-patients. In late August, the Republican National Committee Platform is ratified. Among other pro-life measures it urges Congress to strengthen the Born Alive Infant Protection Act of 2002 by adding civil and criminal penalties for doctors who don’t adequately care for newborn babies. May 2016 — Pendergraft is indicted on drug charges and illegal abortion procedures. October 2016 — First trial date. Postponed due to defendant’s health issues and required recuperation period. January 2017 — Second trial date. Again postponed – no reason given for this further trial delay. Mid-June 2017 — Fourth trial time frame. No definite June date has been set. James Pendergraft: "I Am Not A Criminal"